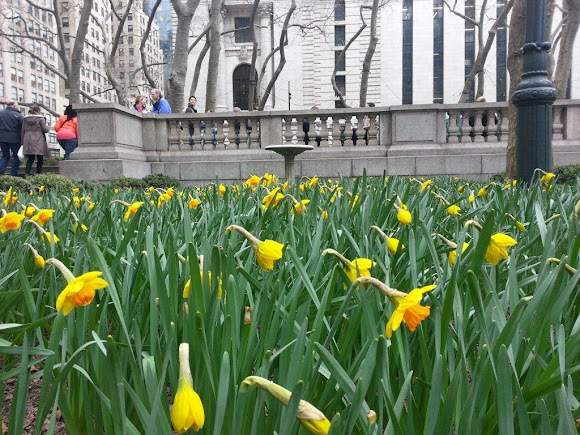 The Daffodils (Narcissus 'Premiere') have started to bloom here at Bryant Park! After a long few weeks of chilly weather and staring at the green buds, we're excited to finally get some color. The slight increases in temperature have been good for the plants within the park. We'll have a daffodil overload post in the next week, but in the meantime, here is a sampling of some blooms at peak now. 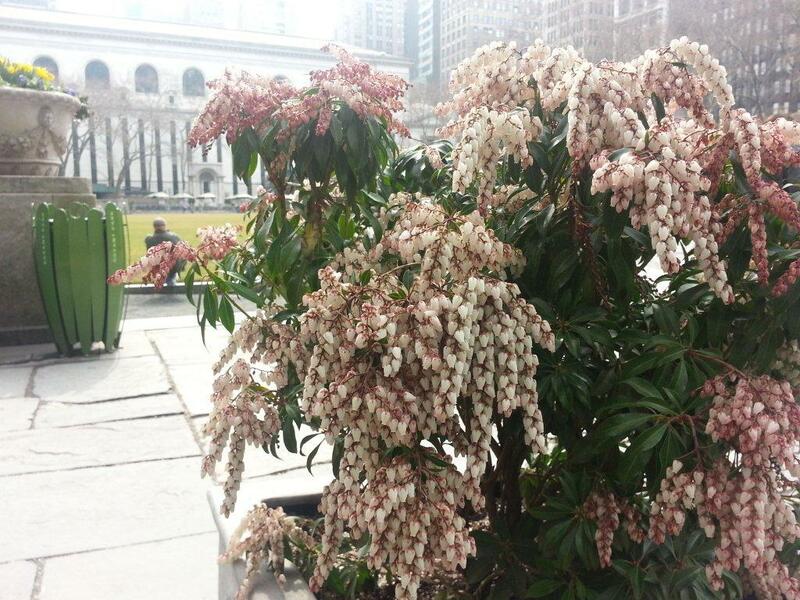 The Pieris Japonica, first planted in October, have bloomed. The flowers are very showy with red and creamy white colors. We find they mix well in planters and contrast nicely against the backdrop of the plant's green leaves. 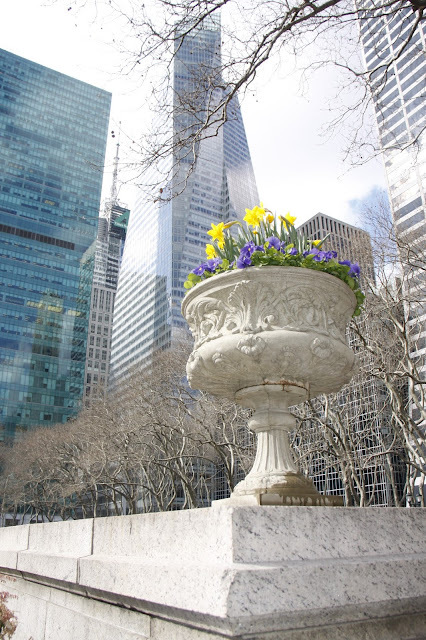 We also love blue pansies in Bryant Park. Our horticulture team relies on these petals each spring to withstand a little unpredictable weather and provide a nice foil for other spring park colors. You'll find them in the large lion's head planters all around the park and popping up out of the urns atop the park's stone balustrades. They add a nice brightness factor and compliment the yellow daffodils with their deep shade of blue. great shots of Spring springing in the Park!